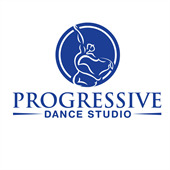 Welcome to Progressive Dance Studio Registration Center! Please provide your information below and click "SUBMIT" when complete. Tuition is NOT charged at this time. Tuition will be billed upon registration. or (2) as may arise out of any other PDS events or functions, whether on the PDS premises or elsewhere. before, during or after class time. fee and must be paid as set forth in the REGISTRATION AGREEMENT above before the student attends class. being 30% of the total annual cost, with the remainder being divided into 5 equal payments, paid monthly. fee of $35.00 for each student is required. My account will be charged by the 5th of each month. amount of any NSF paper check or auto-debit transaction plus a $35.00 non-sufficient funds charge. should be sent via email. It is my responsibility to ensure that PDS has my current email address. payment schedule set forth in the Registration Agreement. Payment processing from my checking/savings account or credit card. event. I AGREE TO PAY FOR THE COSTS OF ANY SUCH MEDICAL TREATMENT.